In this article, I will show you that getting rich is easier than you think. As we are going to discuss getting rich, we will discuss investment. In the country like India, when we talk about investment, we talk about housing, gold, PPF, insurance but we hardly talk about investing in the stock market. There are two main reasons behind that. one, we think that the stock market is too risky and second, we think the skills required for investing in the stock market is very rare. In this article, I will make you believe that it is nearly impossible to lose money in the stock market. 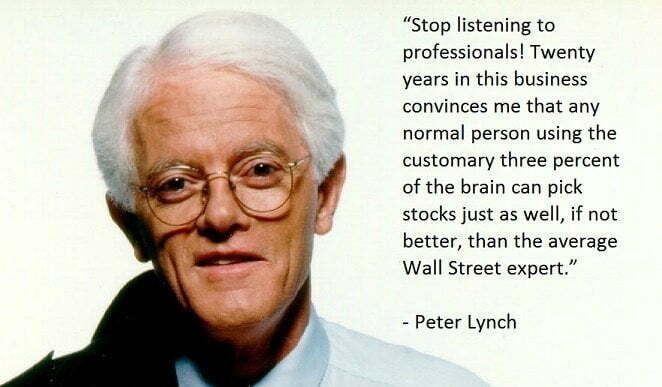 And the skill and knowledge required in the stock market are zero. There are two major stock exchanges in India. BSE and NSE. BSE is the very well known Indian stock exchange made of the top 30 companies of India based on the market capitalization. So you calculate the market value of the companies in India and start ranking them based on their market cap. Number one company these days is TCS, number two is Reliance and so on. These companies keep on changing, even the rank keeps on changing. 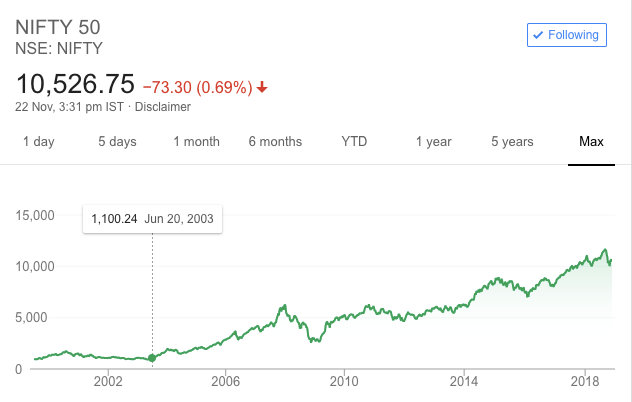 But the Sensex continues to go high because the companies which are not doing well, their weightage in the Sensex keeps on going lower and they are replaced by relatively better companies. So the Sensex is basically a dynamic basket of top 30 companies in India which keeps on changing as and when the economy grows. Now, similarly, National Stock Exchange (NSE) is a popular index made of top 50 companies in India decides on the market capitalization. It is similar to BSE. So if you check the first 30 companies in BSE and NSE, they are same. The remaining 20 companies are relatively small and they do not have a huge impact on the index. So what I am trying to say is both movement of BSE and NSE in the short term and long term are going to be the same. If Sensex grows by 1%, nifty also grows by 1%. How does a no nothing investor invest in the stock market for getting rich? For the Lyman to invest in the stock market, they should invest in the economy of the country. When I say the economy of the country, let’s understand what do I mean. I hope everybody is aware of what is GDP? GDP (Gross Domestic Product) is the final value of all goods and services produced in the county. India’s GDP is around $2.6 trillion. It means we Indians have produced and consumed products worth Rs. $2.6 trillion. Now let’s understand how Sensex and Nifty go up. Why do we need Sense and Nifty? It is not just a barometer of the stock market, but also a barometer of your and my life. It is a reflection of how well an average Indian is doing to live. Let me explain this with the help of an example. Let’s assume there are 100000 people in a town. None of them are invested in the stock market, but they all are using Airtel mobile service. You pay a monthly rental to Airtel. Which increases the revenue of the company, which in turn increase the profit of the company, which in turn might increase the share price of Airtel. Now Airtel is the part of Nifty 50 shares, so if the price of the Airtel goes up, the nifty will also go up. This is how Sensex and Nifty move up. So the Sensex and nifty does not go up by purchasing the stocks of the company but consuming the product of the company. This applies to all the companies in Sensex and Nifty. So if we buy more and more product of the company which is listed in exchange, the stock price will go up and eventually the exchange as well. As the next generation always keeps the living a better life than us. It means the next generation will consume more products and goods than we do right now. This will result in more sell, higher revenue, high profits, high share price by the top 50 companies in India. To give you an idea, when the Sensex was started in the year 1979, the base prices were kept at 100 points. Today the Sensex is trading at 38000 level. It has gone up by 380 times in the last 39 years. If all of you want to make a profit of 380 times, you just have to invest in the Sensex and nifty and forget! If you have decided not to invest in Sensex and Nifty and invest in bank FD at the rate of return of 10% after tax. In 39 years your money in the bank would have gone up by 41 times. The choice is yours. Now what we need to understand here is the higher return comes with a certain amount of risk. Let’s understand this risk. There are two types of risk. One is you lose all your money invested in Sensex and Nifty. But do you really think that Sensex and Nifty will go down to zero? Certainly not. But Sensex will still give you a higher return than the bank. It has to come with a certain amount of risk. The risk of volatility. How the journey of Sensex in the last 39 years? It has not been a straight line. It has been very volatile in between. Can we take away uncertainty out of the stock market? Not at all. Mr. Warren Buffett keeps on saying, the stock market gives you higher return only because it is uncertain. Now, what is the best way to deal with this uncertainty? One way is to invest for a long time say for 30-40 years. Buy something and don’t worry about the volatility. The other way is to participate in this growth story through SIP (Systematic Investment Plan). So if you invest fix amount for a very long time in Sensex and Nifty, even if Sensex and Nifty go down, you should be happy about it. Why? because now you will be able to buy more at lower levels. Your average buying price will go lower. Finally, when the Sensex and Nifty go high you will make money. This phenomenon is called rupee cost averaging. Looking at the above chart of Nifty, 3 questions might have come to your mind. How do I buy Sensex and Nifty? What is the guarantee that this type of return will be there in the future too? Is buying Sensex and Nifty is enough to create wealth?  Let’s understand what kind of return you will need to create huge wealth? As per the trend figures, you need around 20% CAGR return/annum to generate huge wealth. This is because of the power of compounding. Now let’s look at what is the rate of return of Sensex? In the last 39 years, if you calculate the CAGR return of the Sense, it is around 17% to 18% per annum compounded. So if you cannot generate a return of 20%+ you can at least generate a return of 18% in Sensex and Nifty over a long period of time. Now let’s talk about the second question, What is the guarantee that this performance will continue in the future? When you and I put money in the bank we get around 6% return. So the bank is borrowing money from you and me at 6% and lend it further at around 10%. Who are these borrowers? Companies and Industries are borrowing money from the bank to invest in their businesses. Now when these companies are borrowing money at around 10% they certainly expect to get a higher return than 10% from the business in which they have deployed money. Now you may argue that these company may default on the loan they have taken from the bank. Let’s assume for a moment, what if all the companies in the Sensex and Nifty makes defaults on the loans. Will your money as a fixed deposit in the bank be safe? Your money in the bank is only safe if the industry return is higher than the bank rate. There are three forces which ensure that the overall industry return is higher than the bank fix deposit rate. There are adequate measures are taken by the above three forces to ensure that the industry always earns higher than the rate of return. A young Indian aged 20 years of age decides to save Rs. 50000 and invest this money in the equity which will give him a return of 18%/annum. Then this saving would become Rs. 3.75 crores. So to make 3.75 Crs. by the time you retire, all you need is to save Rs. 50000 and invest it into the Sensex/Nifty for the next 40 years. Same way if you want to build a corpus of 37.5 Crores, start investing with Rs. 500000 today. This is the power of compounding over a long period. The problem is who cares about retirement at the age of 20, or who don’t want to have the latest iPhone? If you are one of those who finds it very difficult to sacrifice, think like you have no option but to sacrifice for a few years. Because sacrificing is very difficult. Investing is living a few years of your life in a way that most people will not so that you can live a life that most people can not. Being financially successful (getting rich) is an accident? or it is a right education, right saving and investing habits. Think about it!